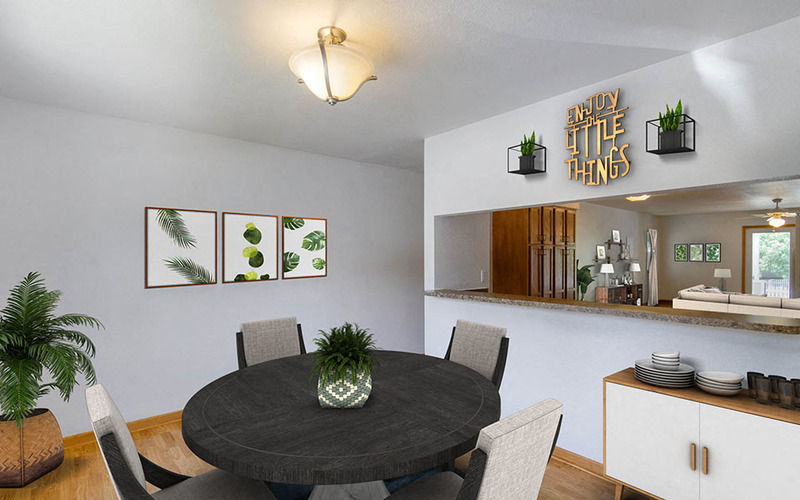 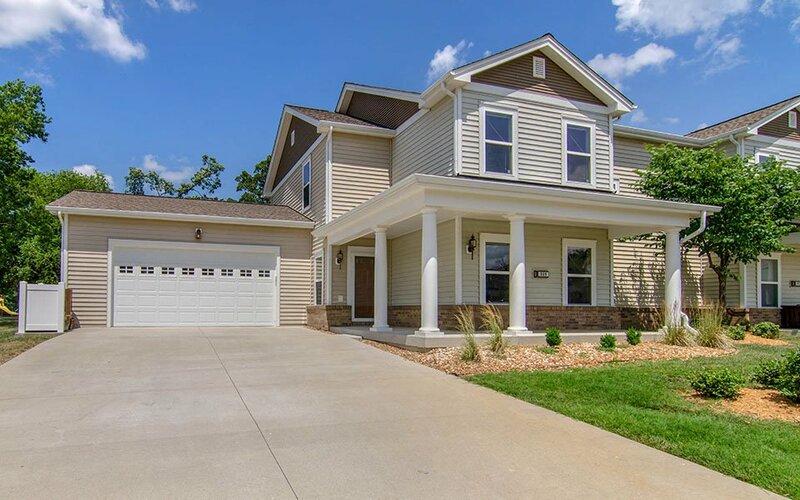 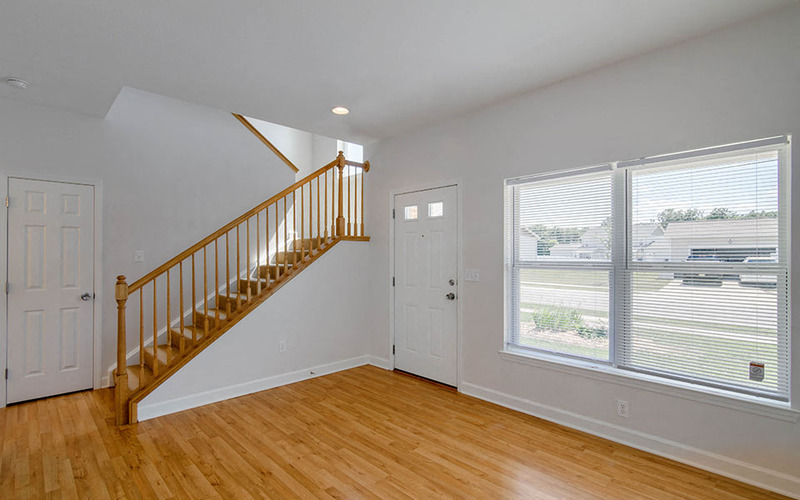 With a wide selection of floor plans and eight distinct neighborhoods, you’re sure to find a home to suit your lifestyle at Whiteman Family Homes. 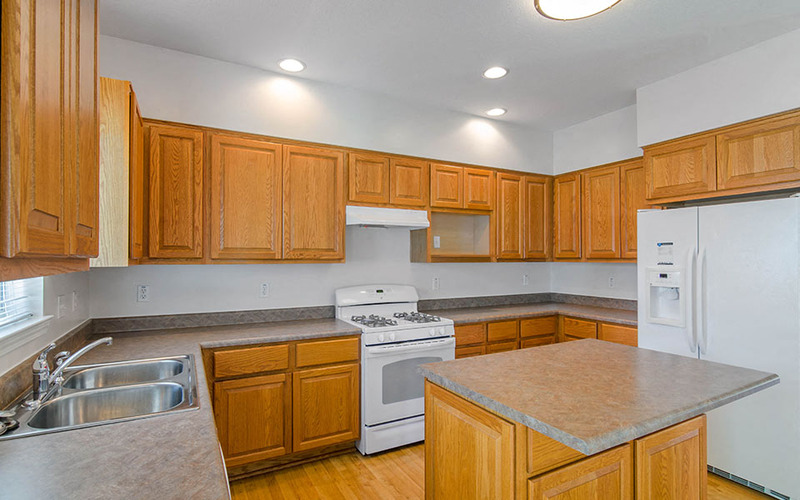 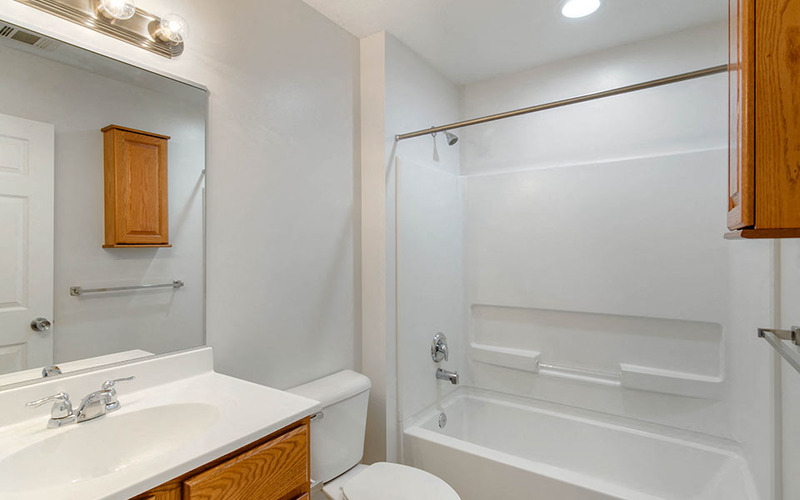 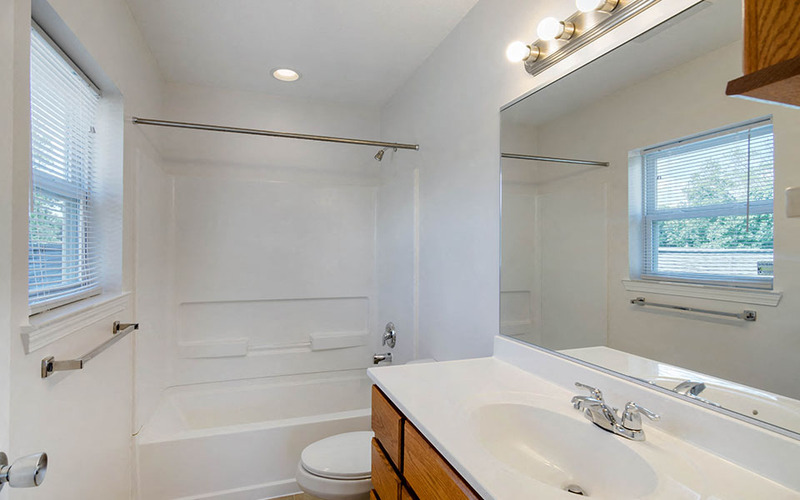 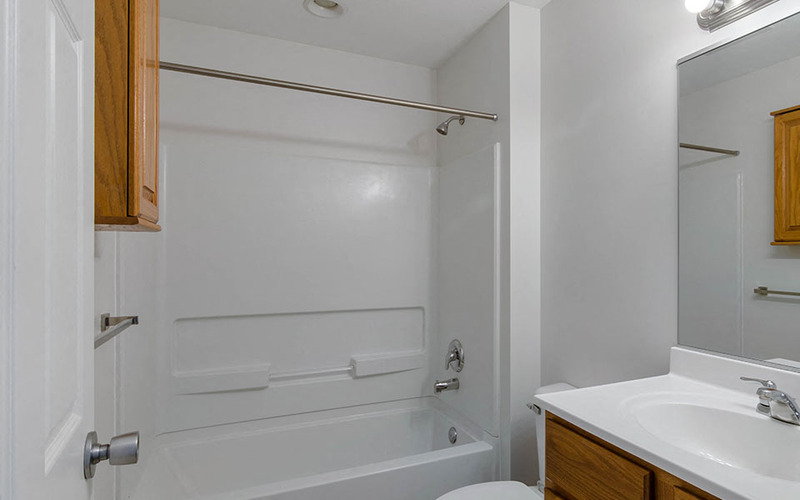 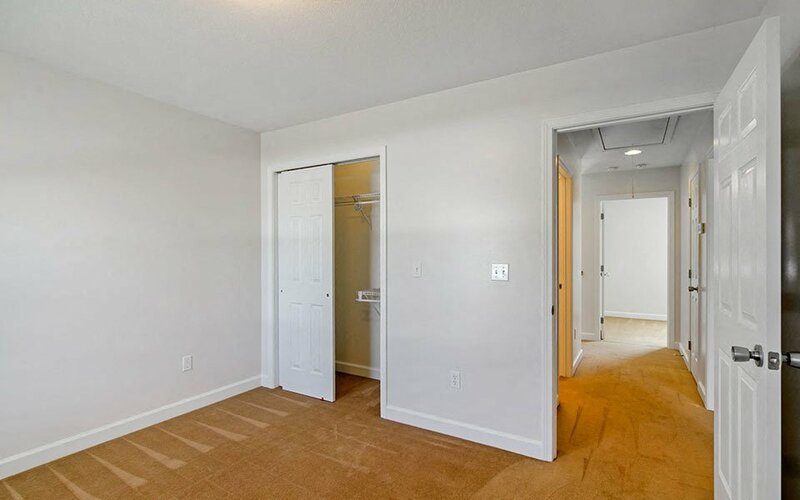 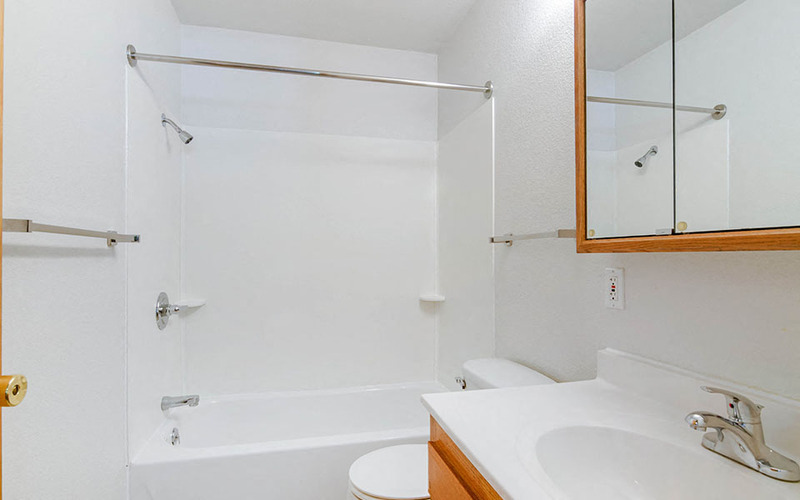 Take advantage of our convenient on-base location and close proximity to base amenities, outdoor recreation and a variety of community amenities. 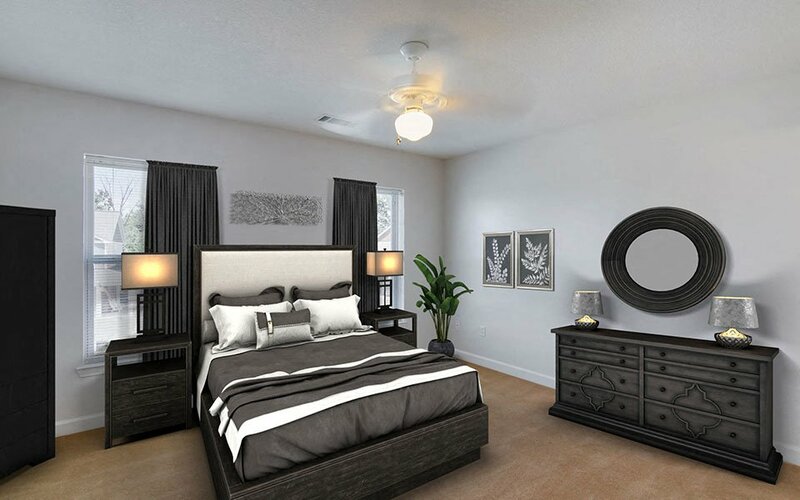 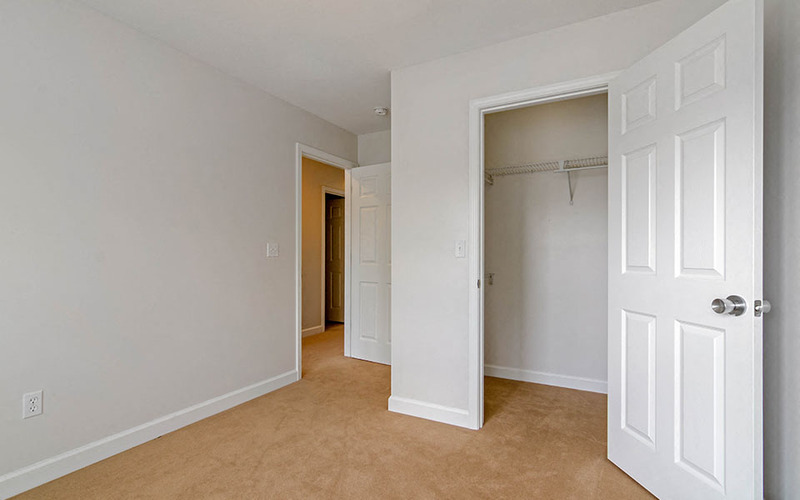 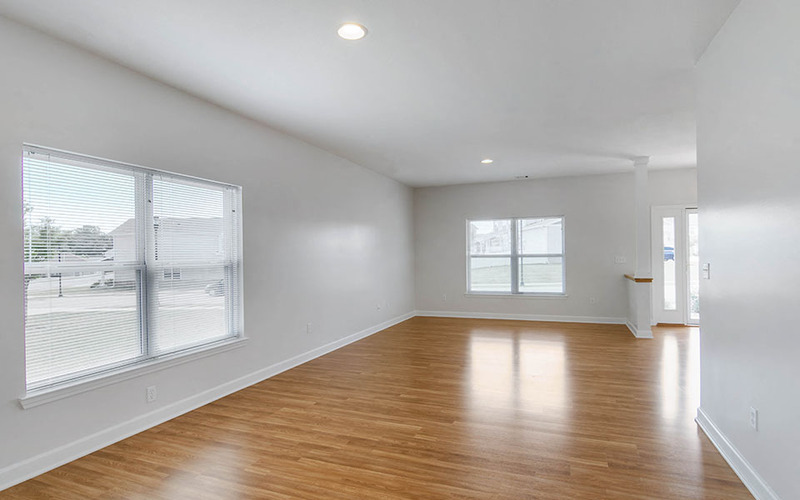 With home features such as ample closets and storage, fenced-in back yards, garages and fully-equipped kitchens, your Whiteman Family Homes living experience will be nothing short of exceptional. 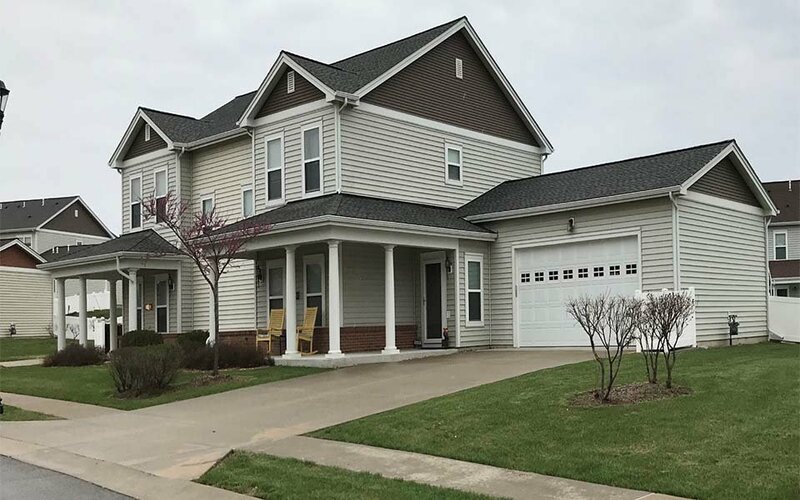 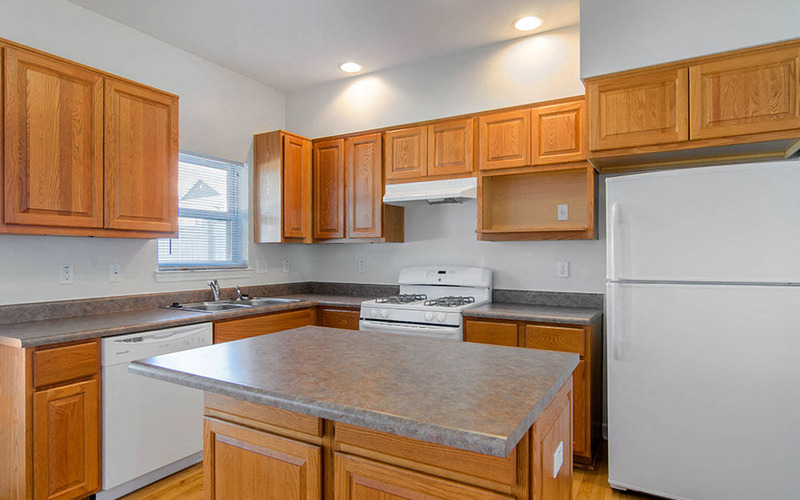 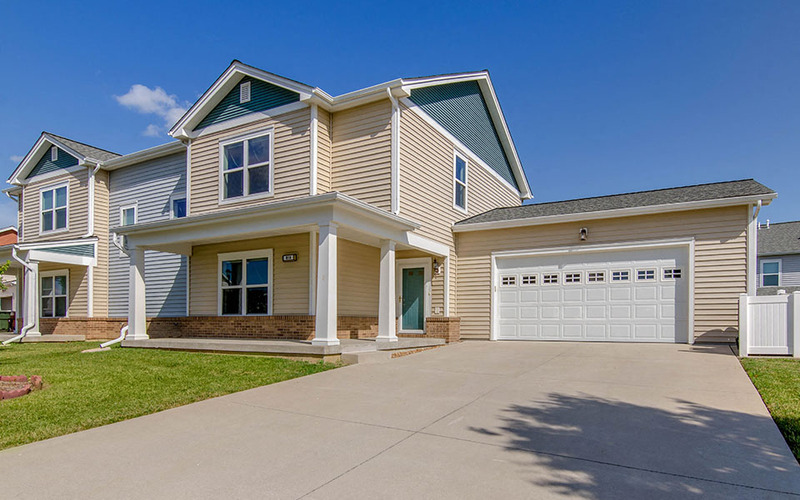 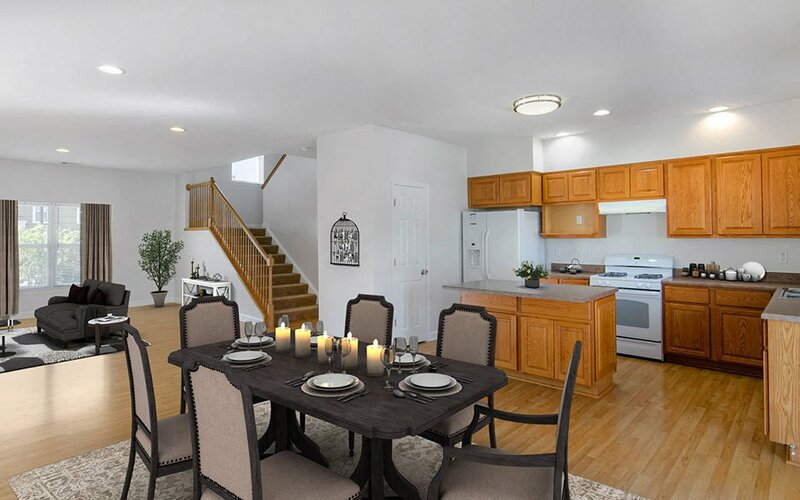 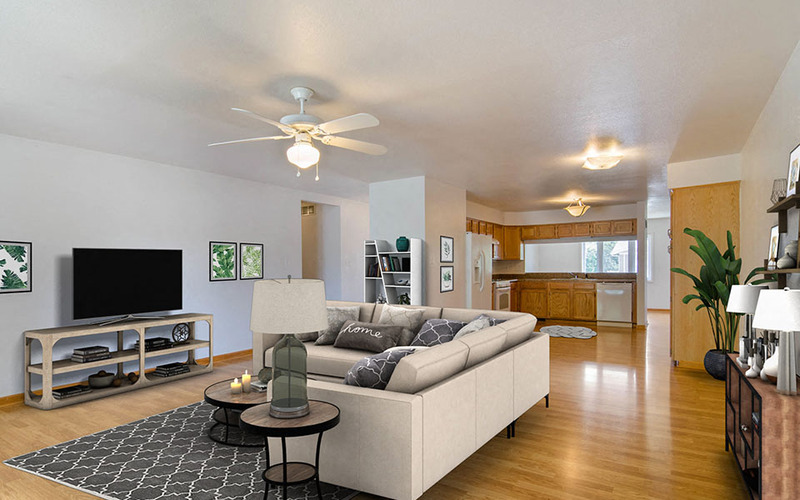 Homes in the Bear Lake neighborhood are available in three and four-bedroom layouts and feature a fenced-in back yard, master suite, two-car garage and much more. 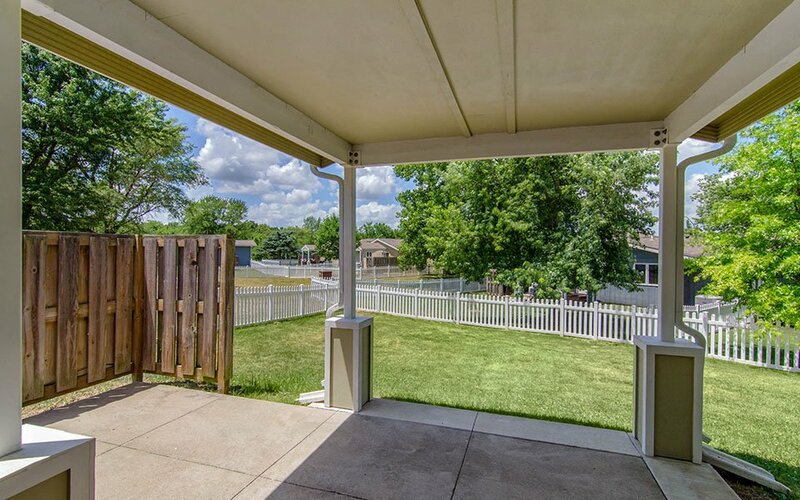 In this area you’ll have easy access to recreational trails, parks, Bear Lake and Lemay Gate. 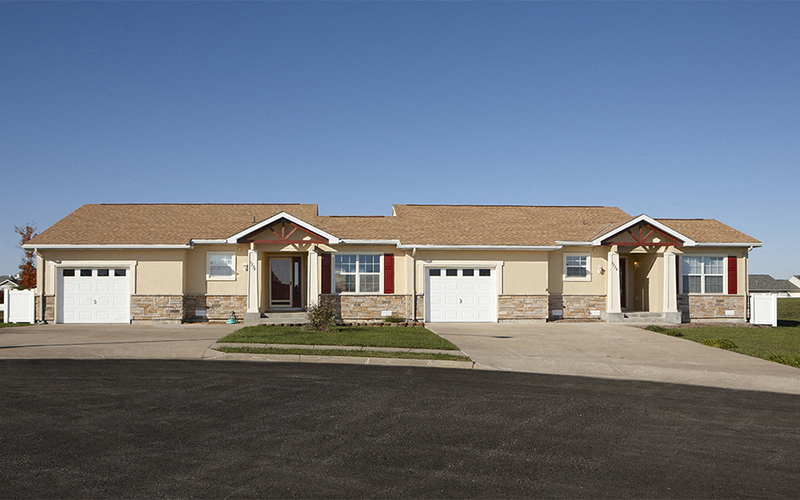 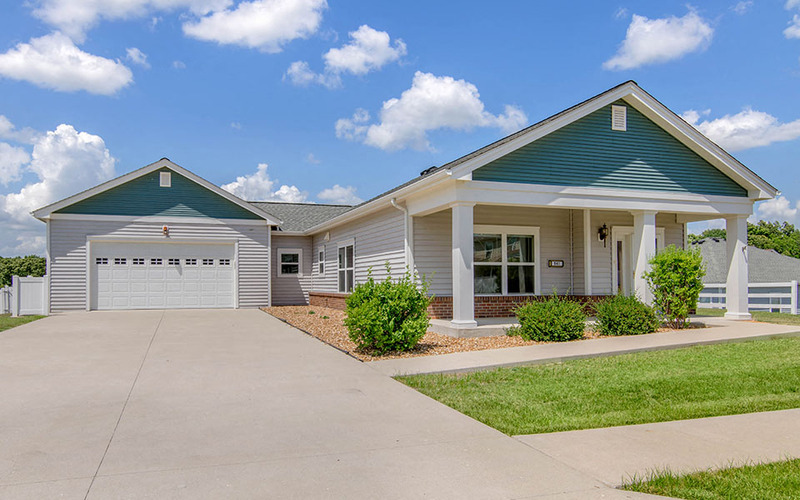 Located within walking distance to community parks and Bear Lake, our Bear Lake II neighborhood offers two and four bedroom homes. 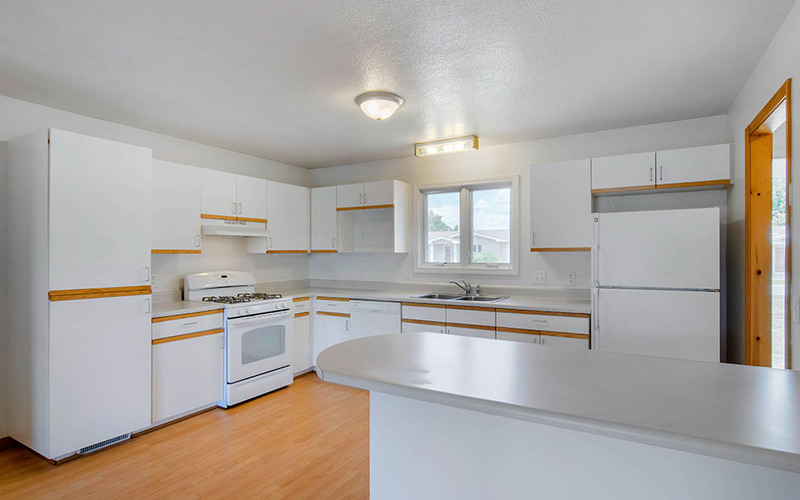 Features include a fully-equipped kitchen with breakfast bar or island, fenced-in back yard and two-car garage. 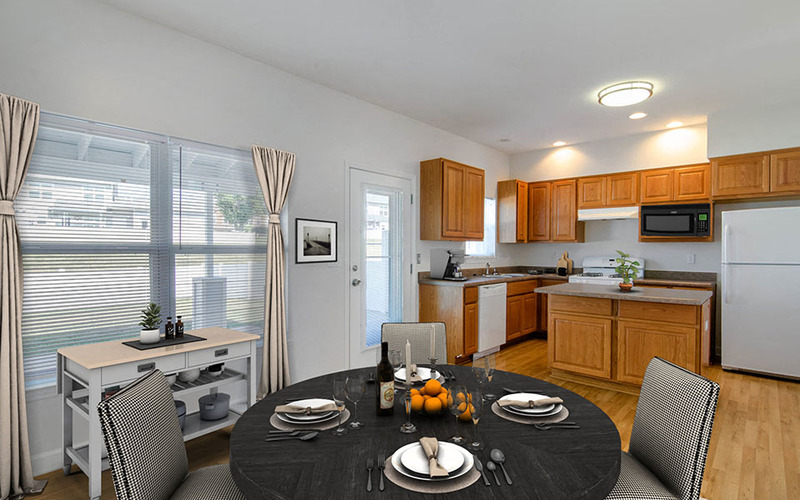 Lakeside’s two, three and four-bedroom homes feature a fenced-in back yard, fully-equipped kitchen with breakfast bar, two-car garage and more. 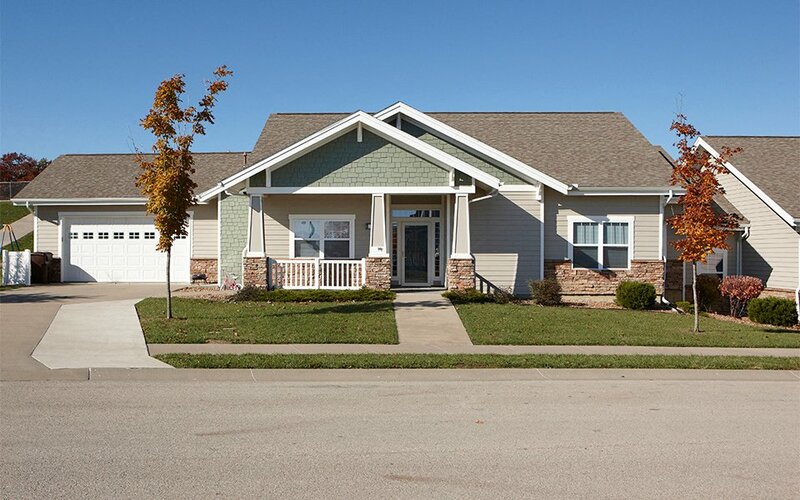 Residents in this neighborhood are just steps away from the community center, miniature golf course and Base clinic. 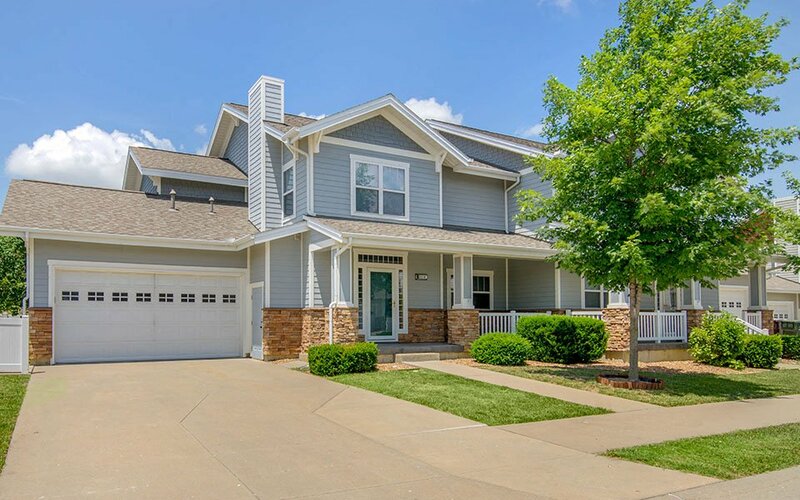 Families living in Lakeside II enjoy a number of features in this neighborhood’s spacious three and four-bedroom homes, including a fully-equipped kitchen with breakfast bar, open floor plan, and master suite with double closets. 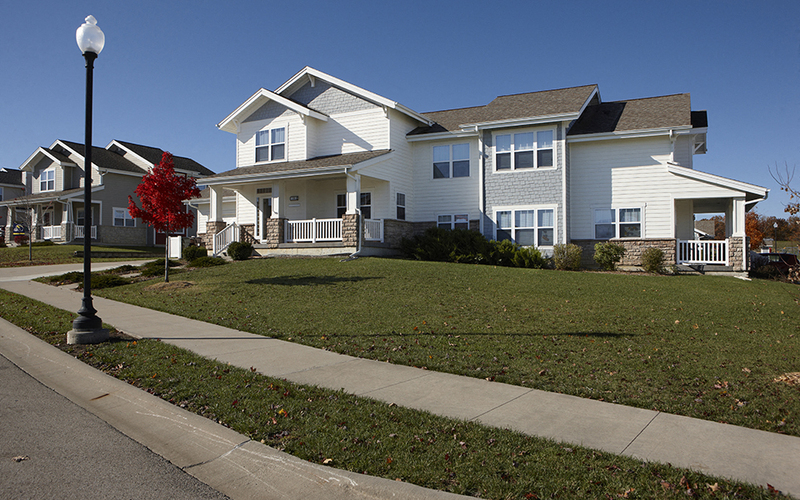 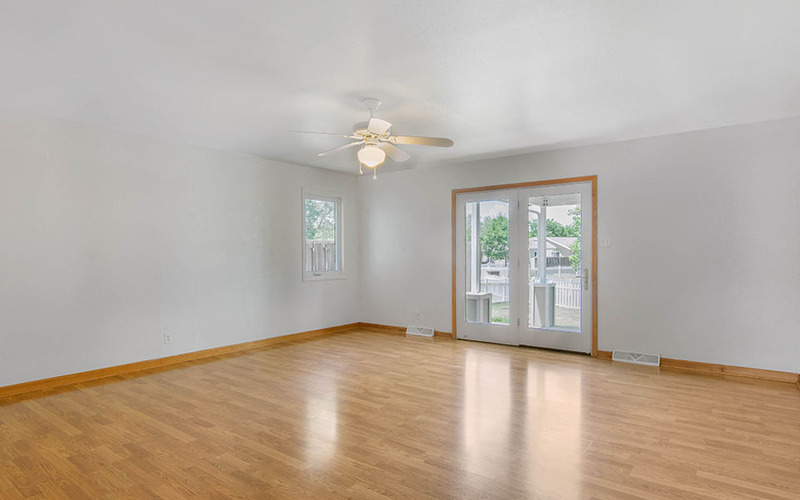 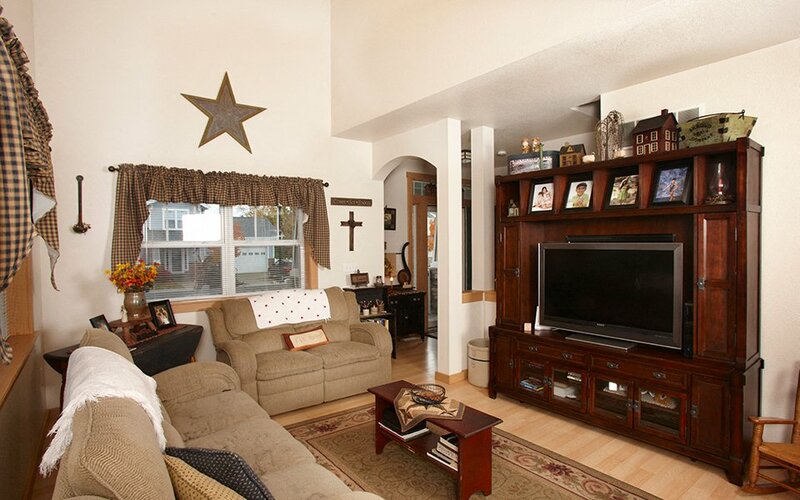 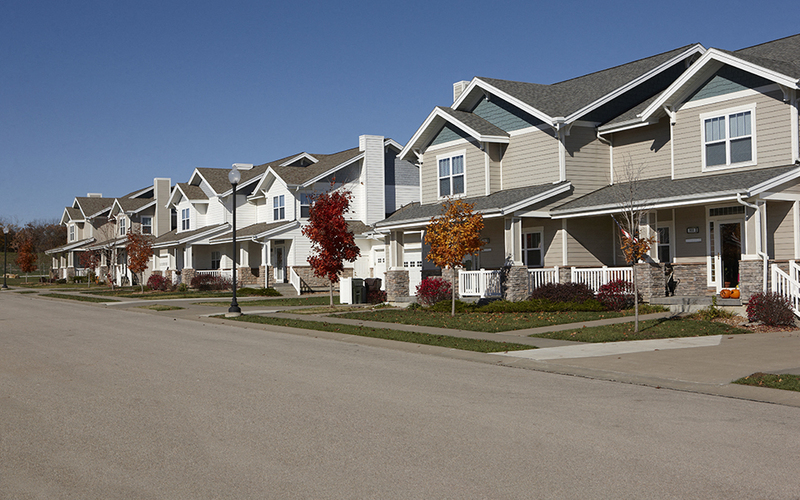 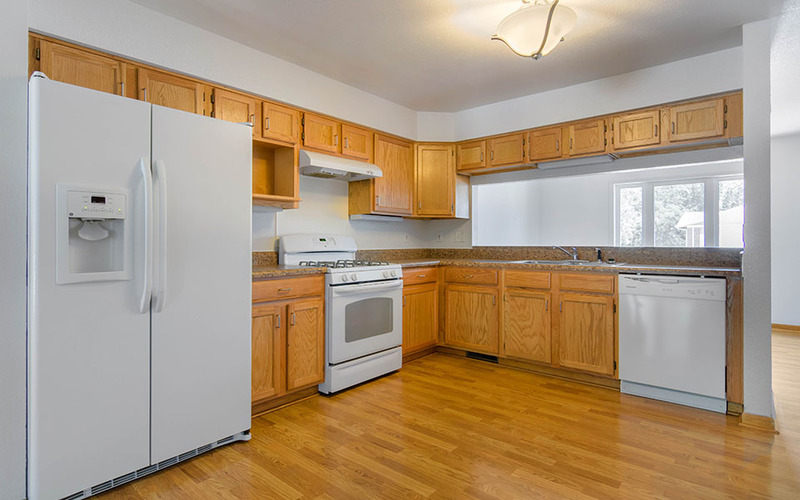 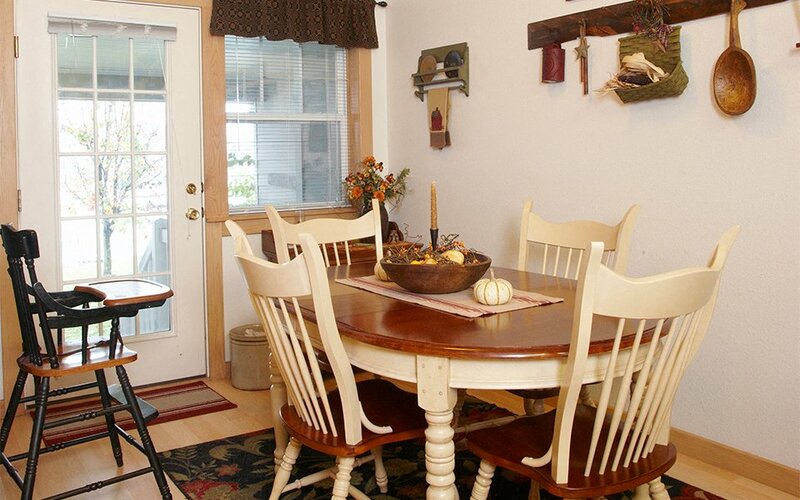 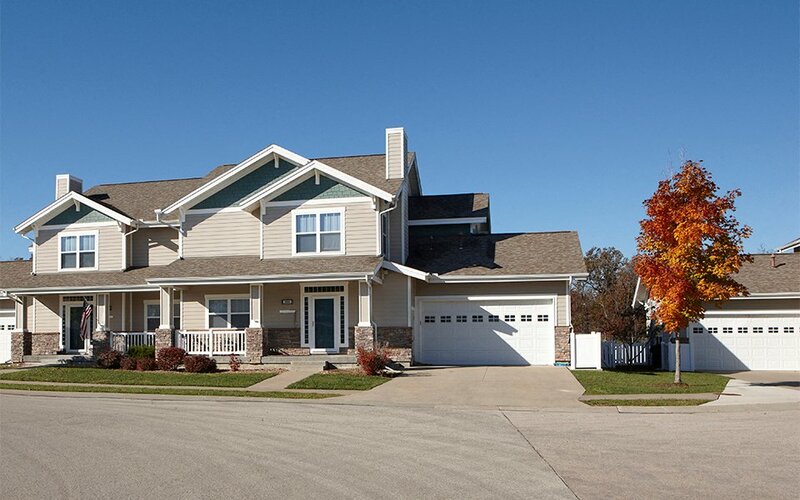 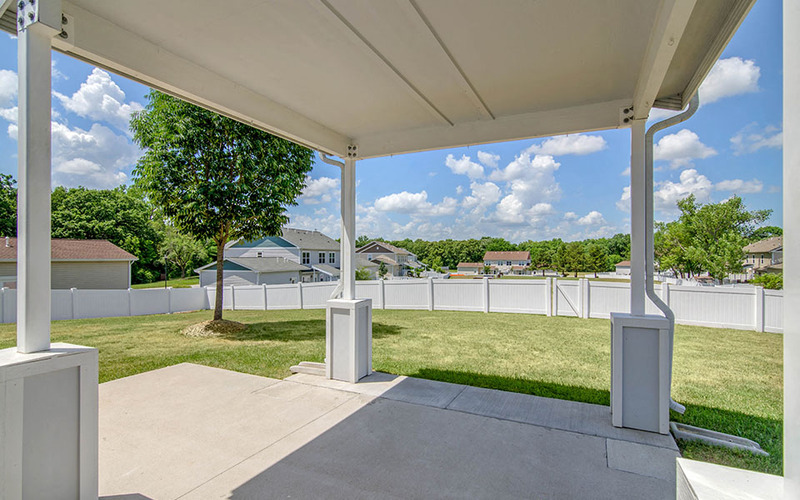 This very walkable, tree-lined neighborhood is located near recreational trails and parks. 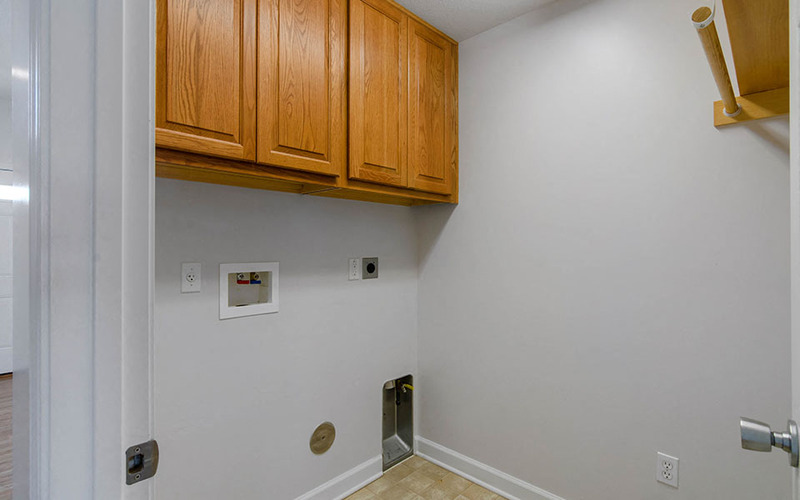 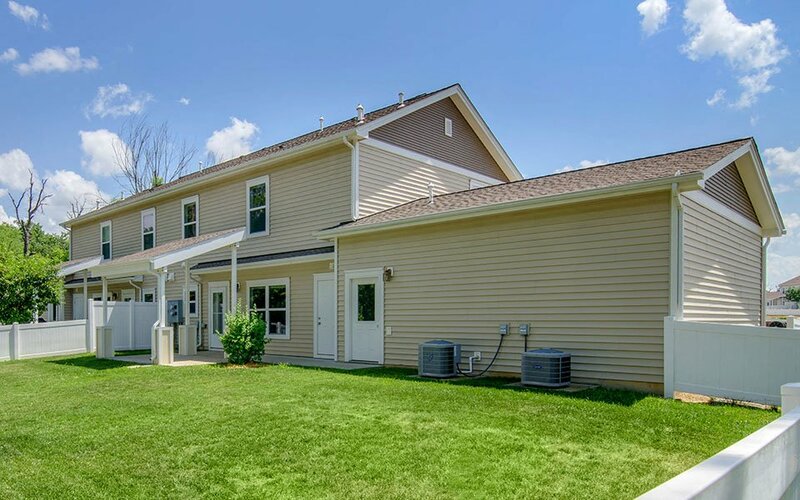 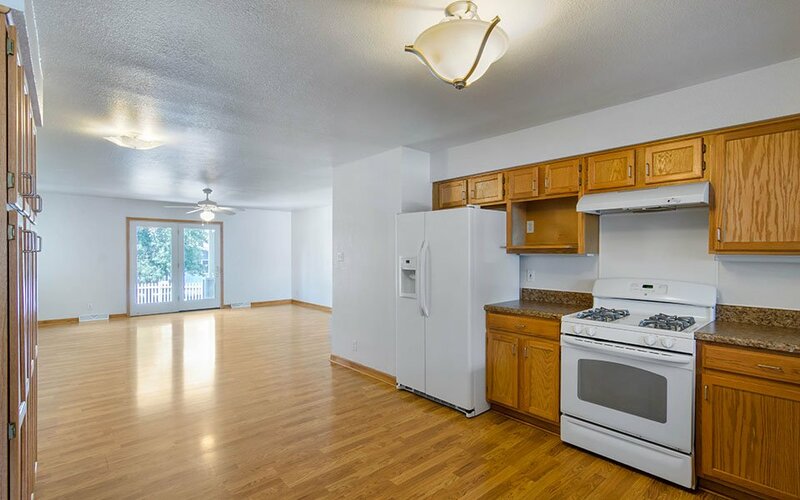 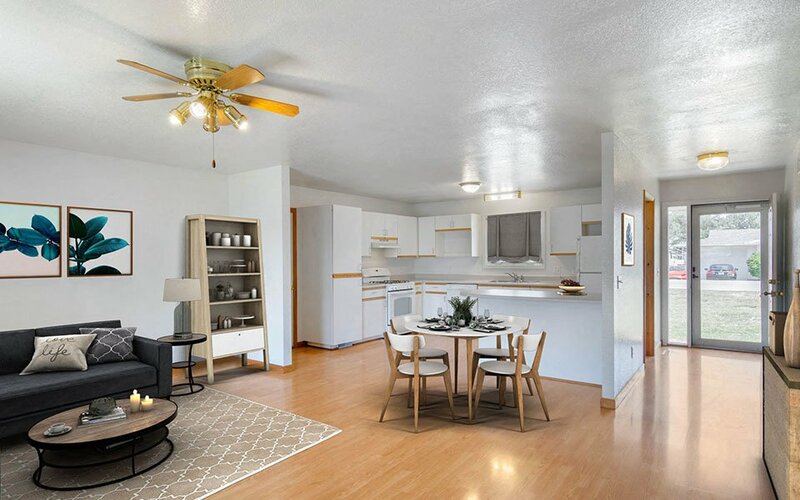 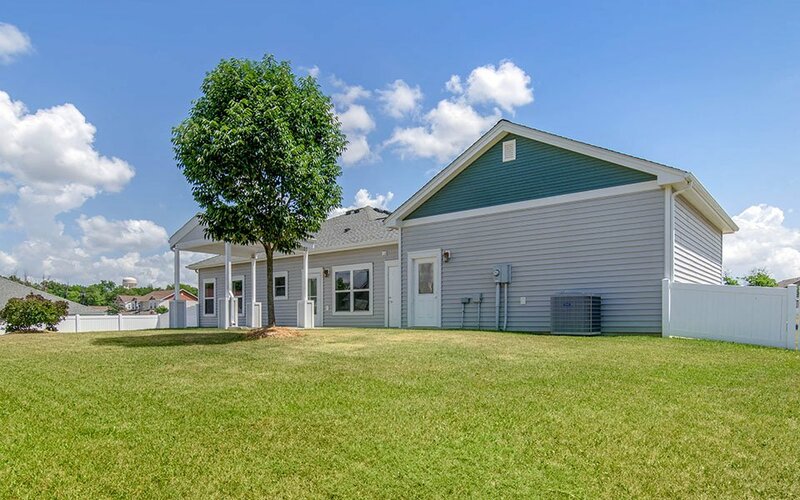 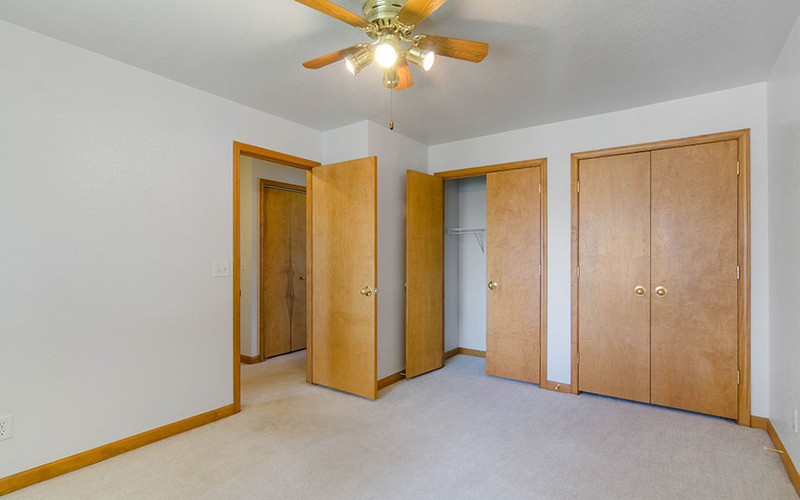 Conveniently located within walking distance of the community center, Base clinic, dog park and elementary school, Midland II offers cozy two-bedroom floor plans. 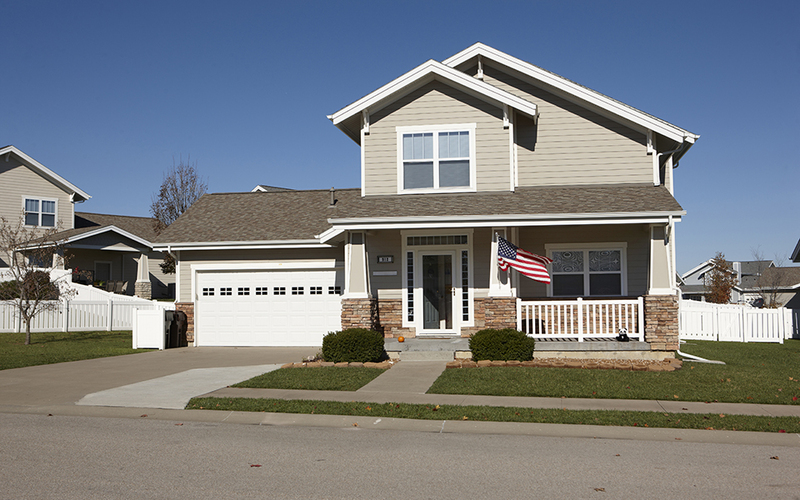 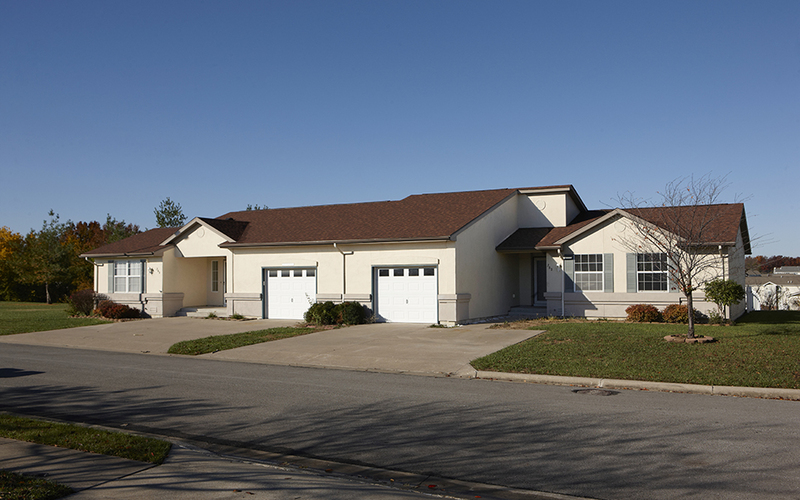 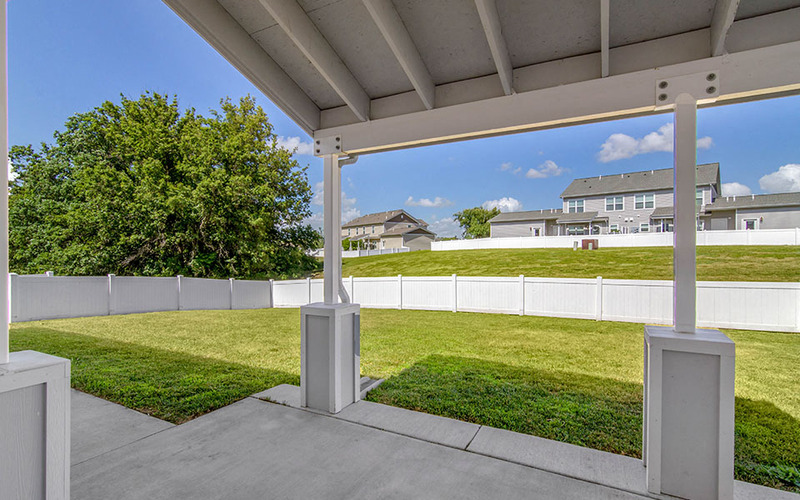 These homes feature a garage, covered patio, front porch and fenced-in back yard. 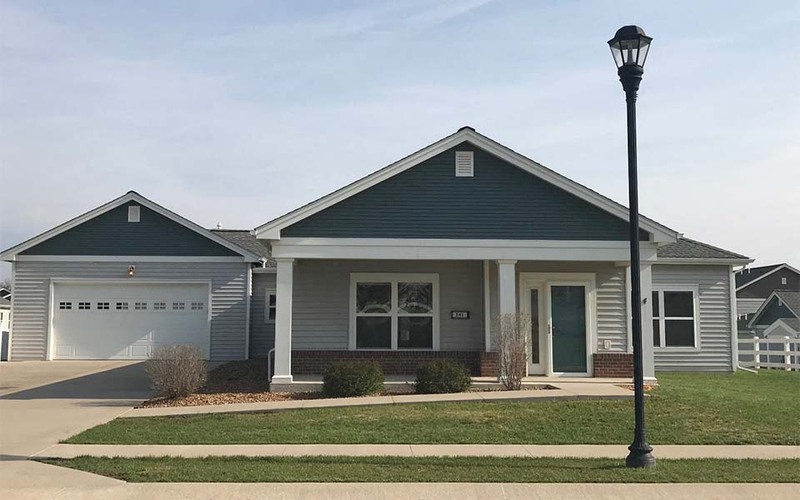 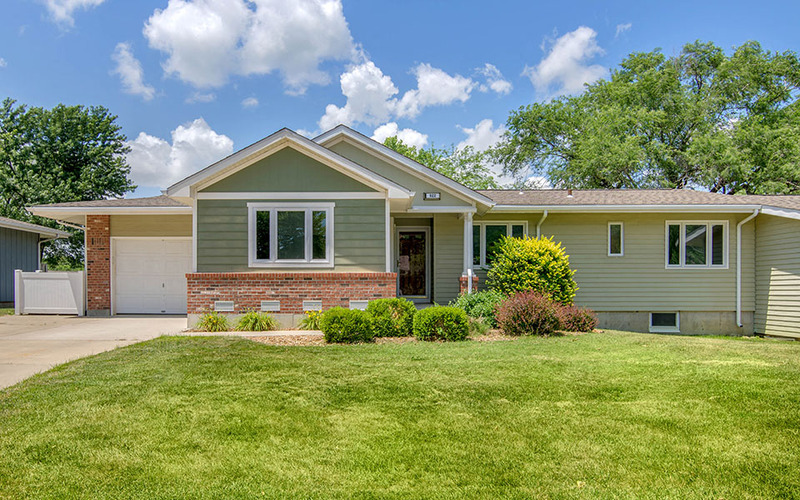 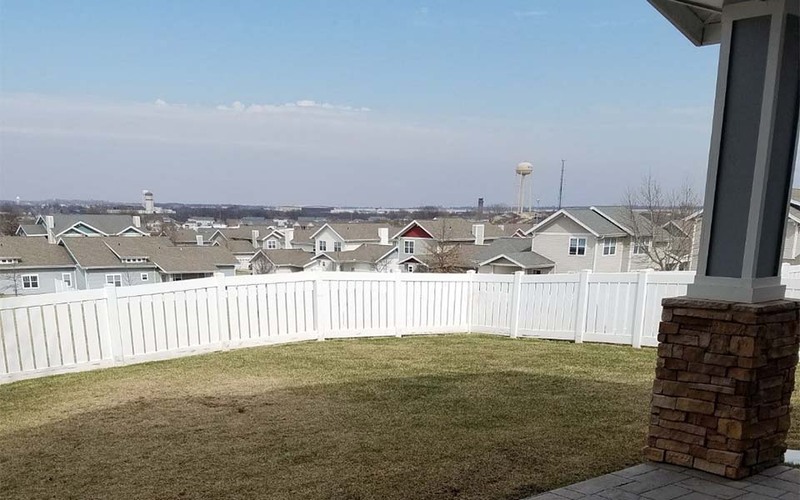 The Ridgeview neighborhood offers a variety of two, three and four-bedroom homes located near the Ike Skelton Park and Lake. 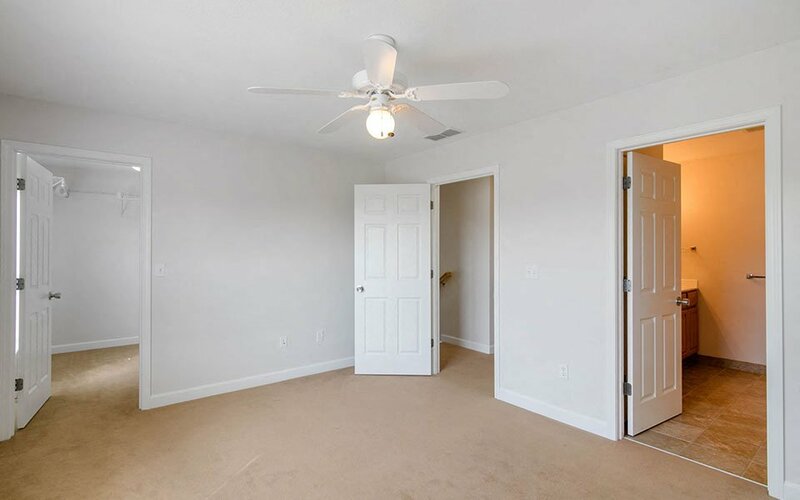 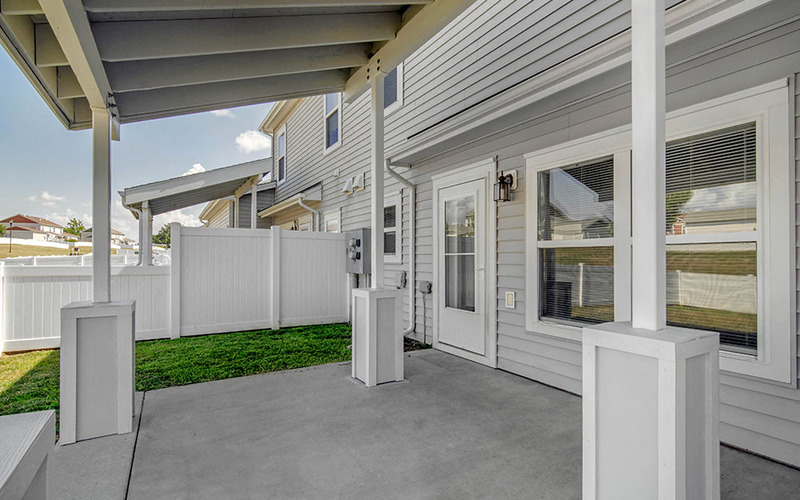 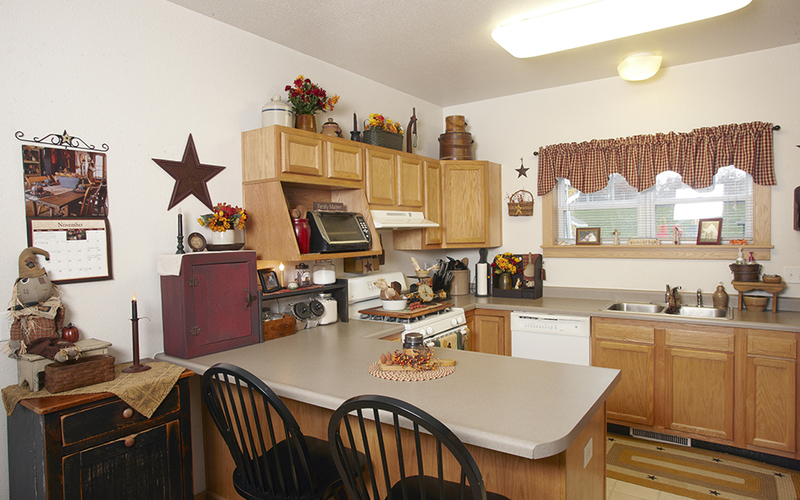 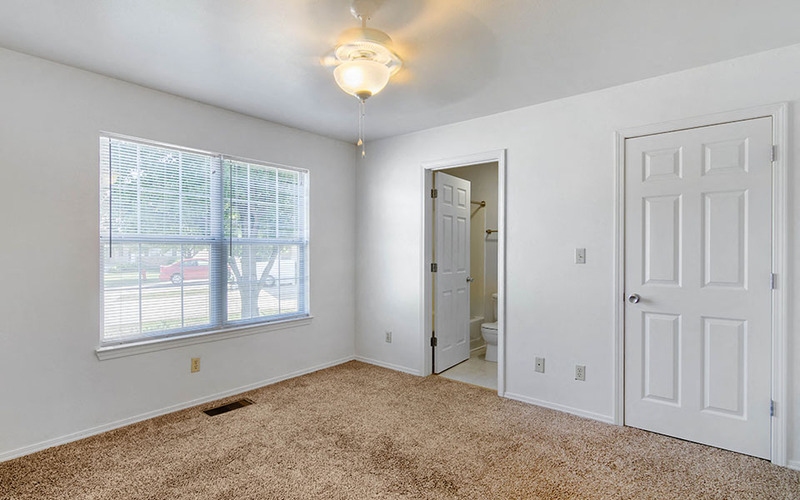 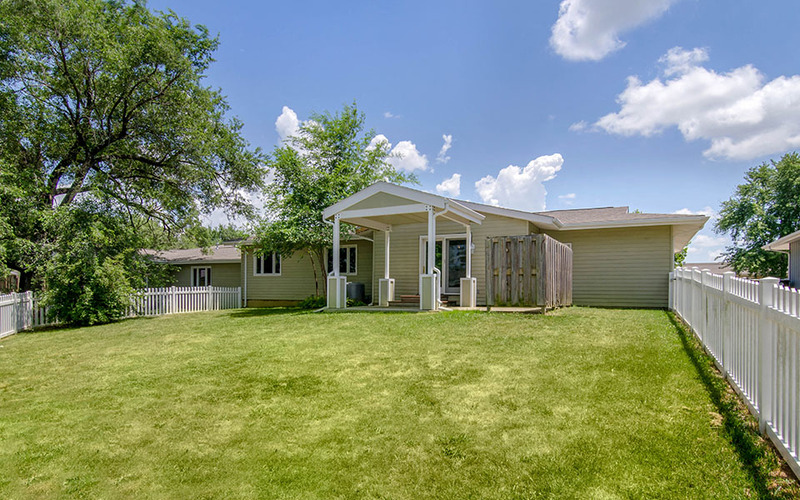 Residents enjoy home features including a covered patio and front porch, fully-equipped kitchen and storage shed. 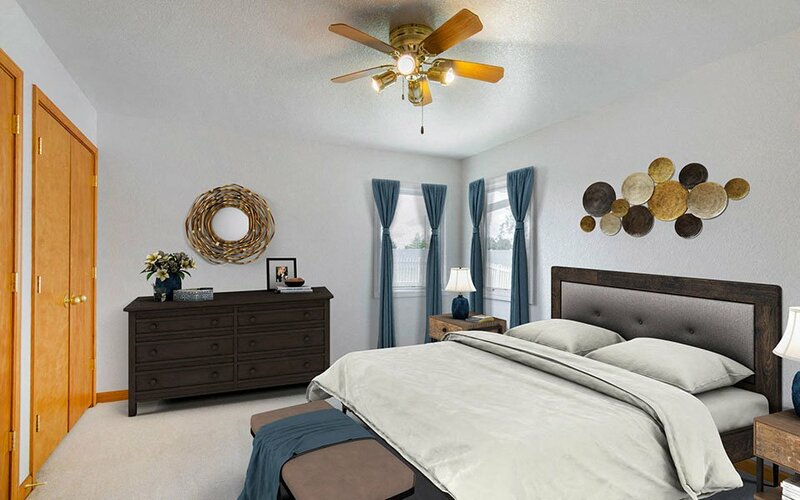 Woodview offers two, three and four-bedroom homes featuring a two-car garage, master suite with walk-in closet and ample storage space. 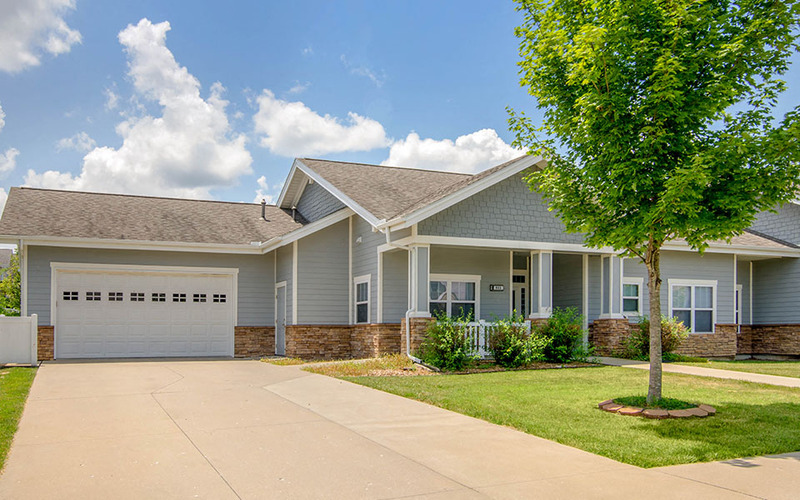 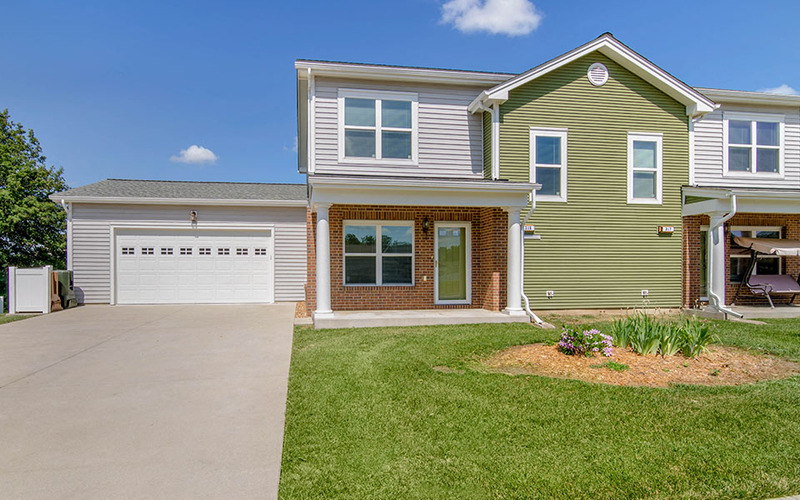 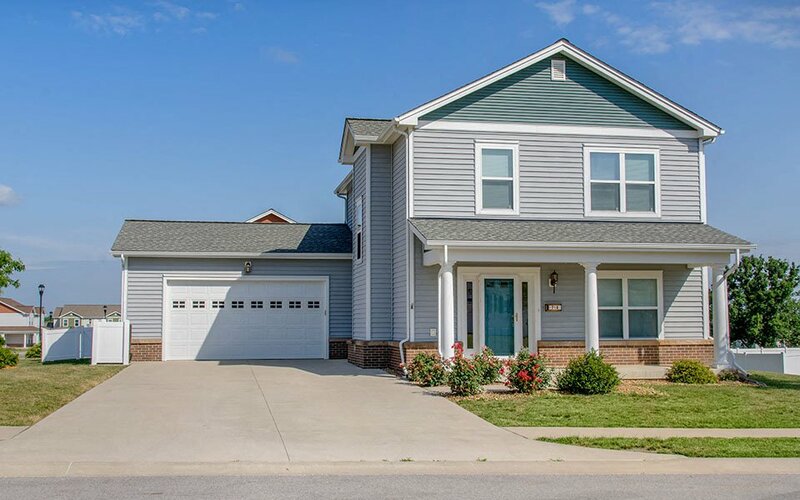 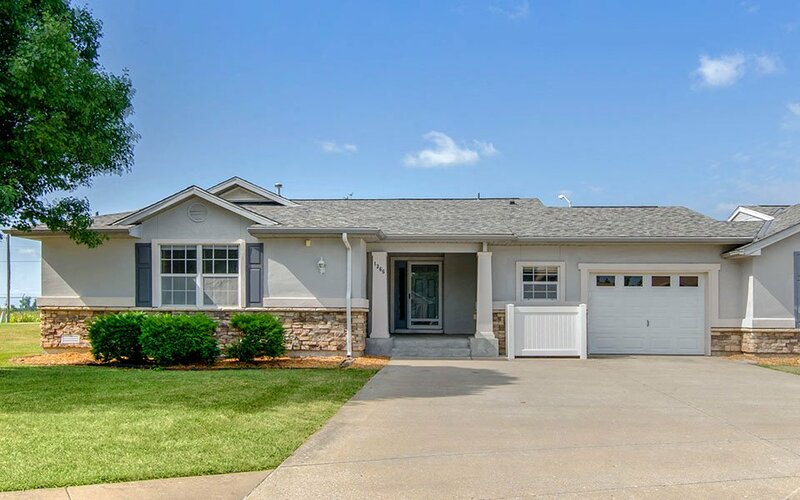 Residents in this neighborhood are conveniently located near the Shopette, Knob Noster State Park and other community parks. 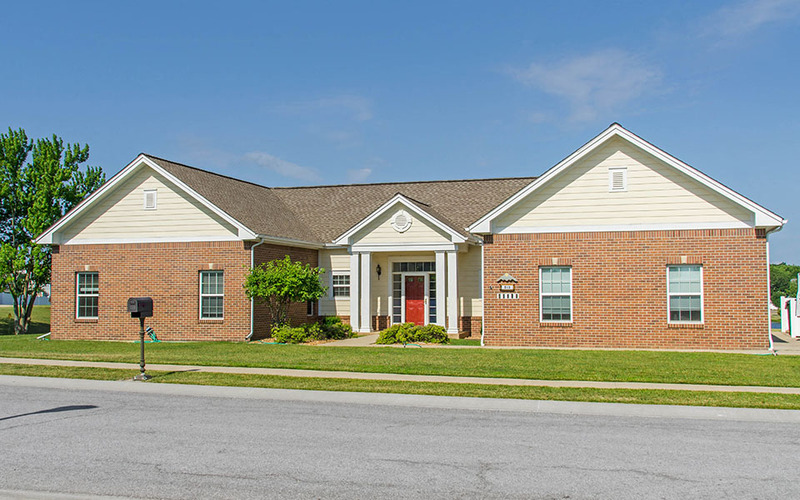 Woodview II is located close in proximity to the neighborhood center, Shopette and Knob Noster State Park. 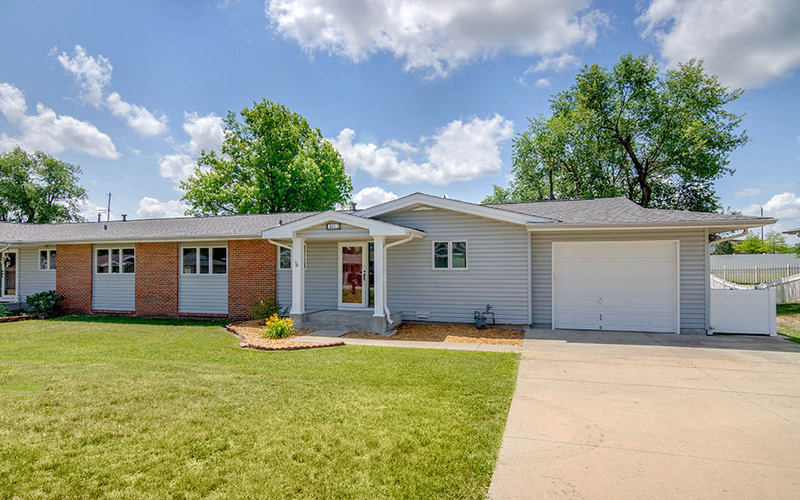 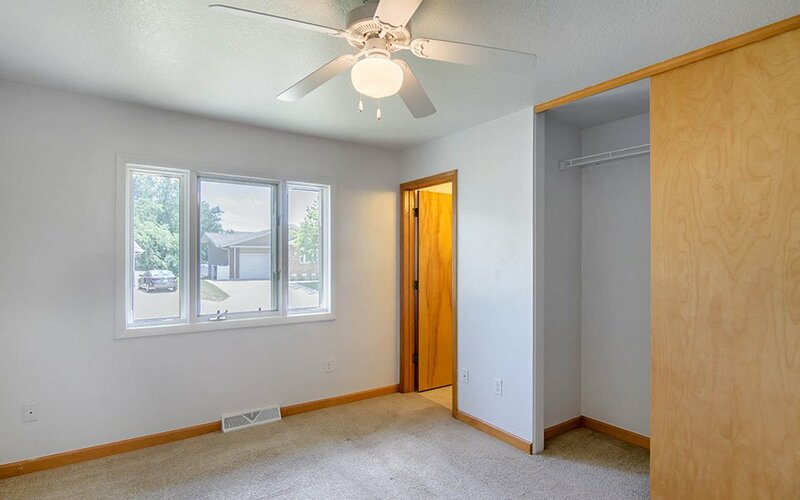 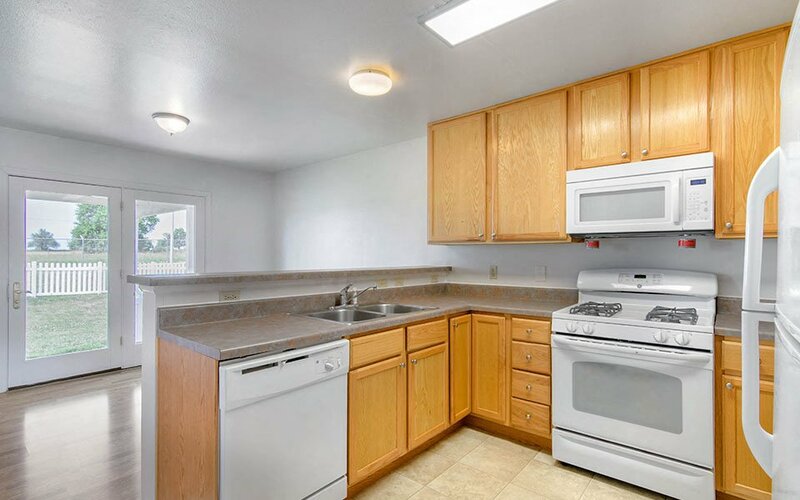 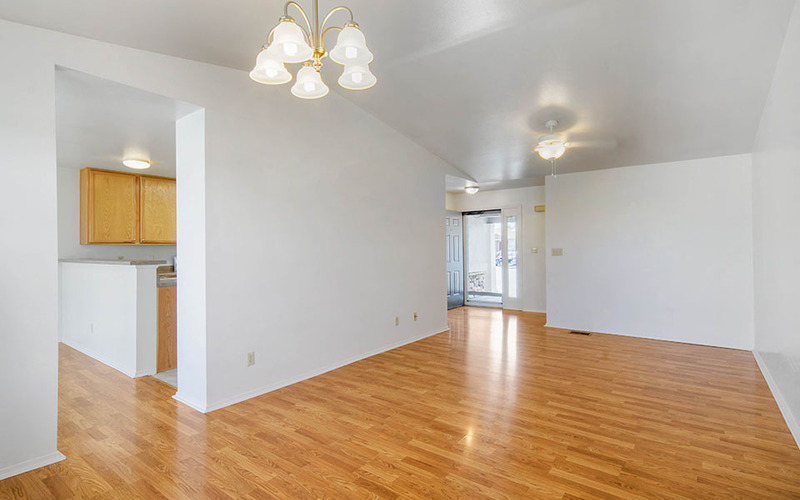 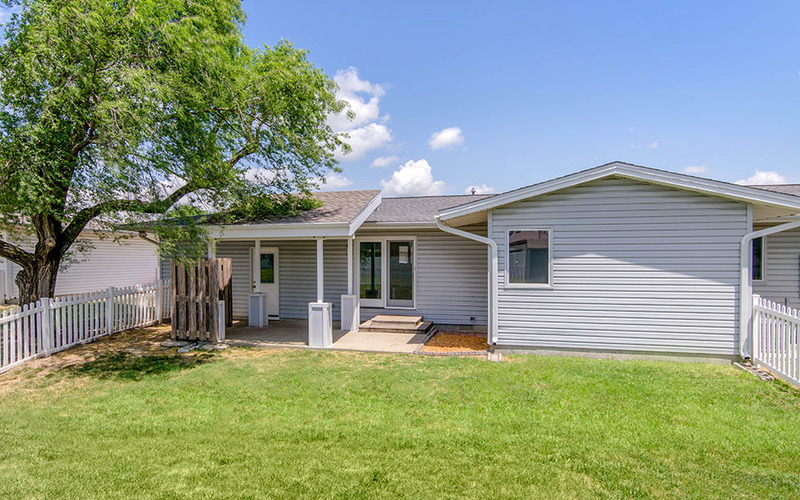 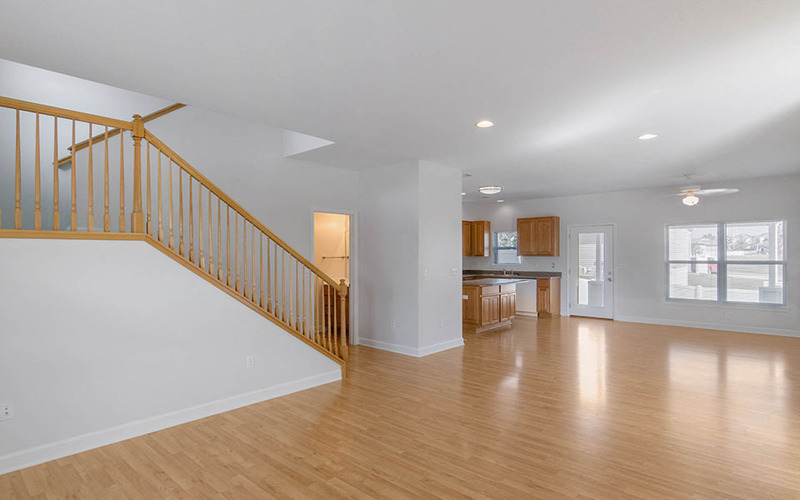 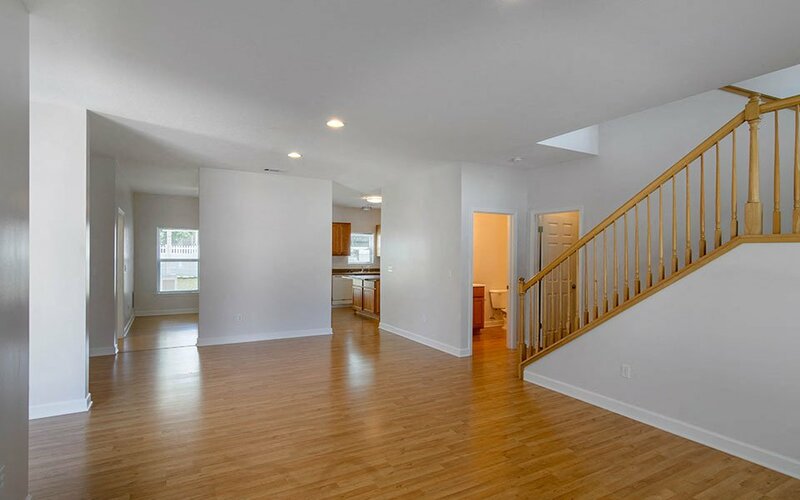 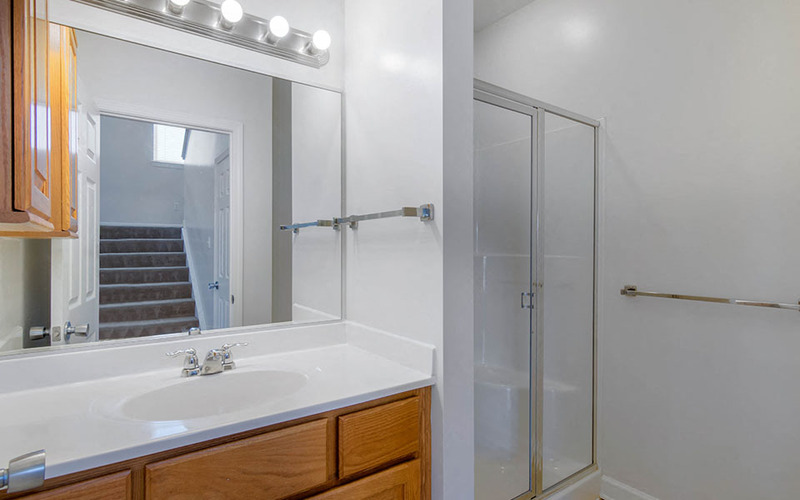 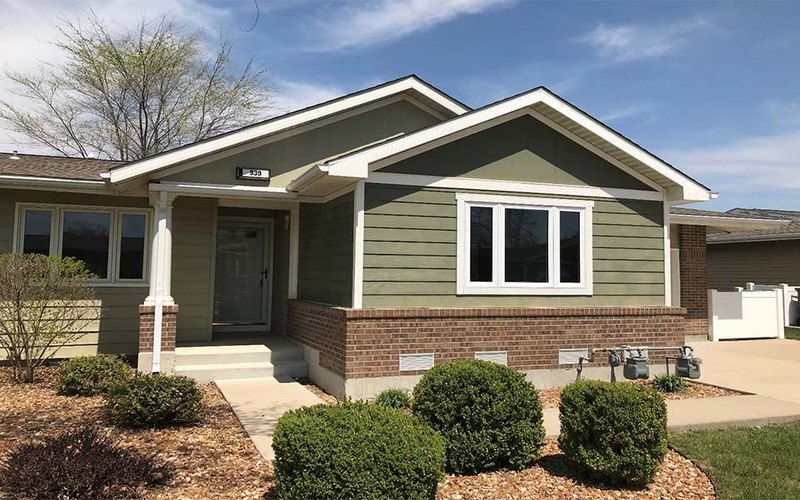 The two and three-bedroom homes in this neighborhood include features such as a garage, fenced-in back yard and fully-equipped kitchen with breakfast bar.